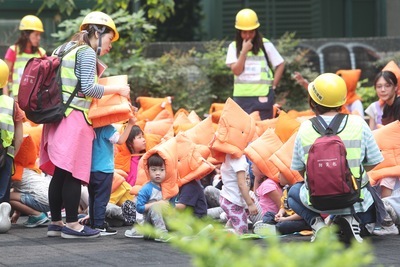 Taipei, Oct. 12 (CNA) A fifth suspect was detained late Sunday in connection with the latest edible oil scandal that has been rocking the nation since Oct. 8. Lin Ming-chung, a bsuinessman suspected of selling 651 tons of oil for making animal feed to Cheng I Food Co. between January and August this year, became the fifth suspect to have been kept in detention on suspicion of breaking food safety laws. Kaohsiung District Prosecutors Office said investigators found Lin had sold questionable oil to Cheng I, a subsidiary of industry giant Ting Hsin International Group that has come under fire for selling edible oils containing oils not intended for human consumption. Lin was also charged with using fake invoices to evade his legal responsibility for the questionable business deals with Cheng I. The court ruled that Lin be detained on suspicion of violating the laws governing fraud, business accounting, tax collection and food safety. Earlier in the day, three individuals, including a division chief at Changhua County-based Ting Hsin Oil & Fat Industrial Co., were detained on suspicion of committing fraud and violating food safety regulations. A former Ting Hsin Oil and Fat general manager and an executive of a trading company that sold oil for animal feed to Ting Hsin were among the three nabbed by Changhua district prosecutors. The fourth detainee was the owner of an oil company that sold lard- based cooking oils made with oils used in animal feed to Hsin Hao Co. which in turn supplied questionable oil to Cheng I.